As my Cantonese is fairly limited, I’m often the “pointy tourist” when it comes to ordering food in Hong Kong since I dare not pronounce certain words that would make me a laughing stock. 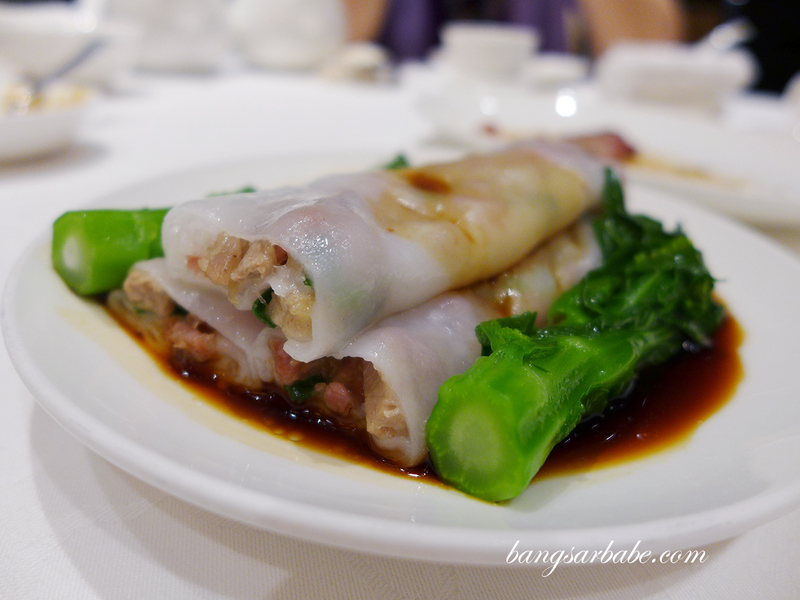 But this pointy tourist loves a good dim sum and when Mei offered to be my food guide, I gladly took it up. 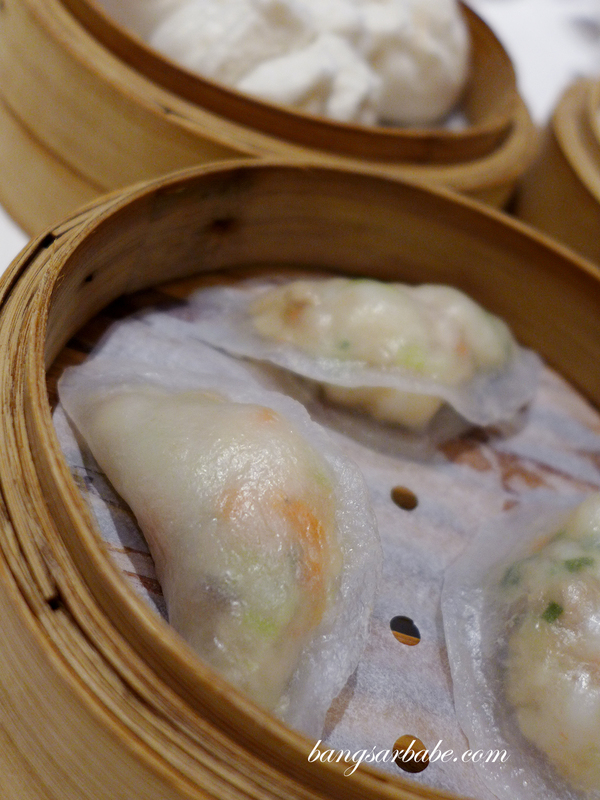 We went to Fook Lam Moon, a two Michelin star dim sum joint in Wan Chai; also a place to spot HK celebrities tucking into tiny morsels of impeccably made dumplings. 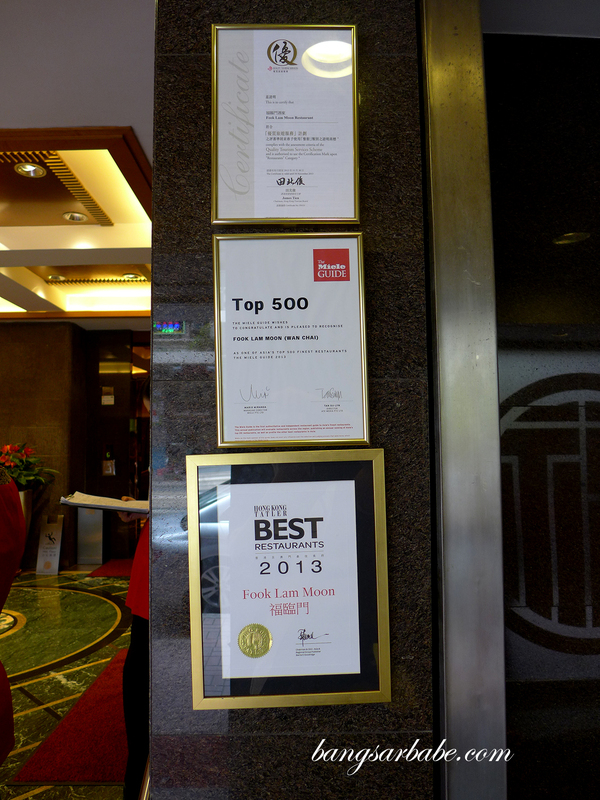 Fook Lam Moon looks rather unassuming for a restaurant that boasts two stars from the 2010 Michelin Guide. 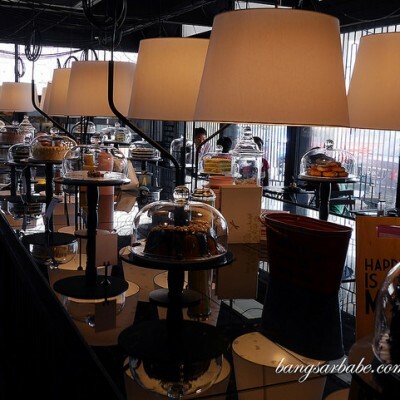 The décor is modern but minimal, while the extensive menu features prized seafood, Cantonese haute cuisine and of course, dim sum. 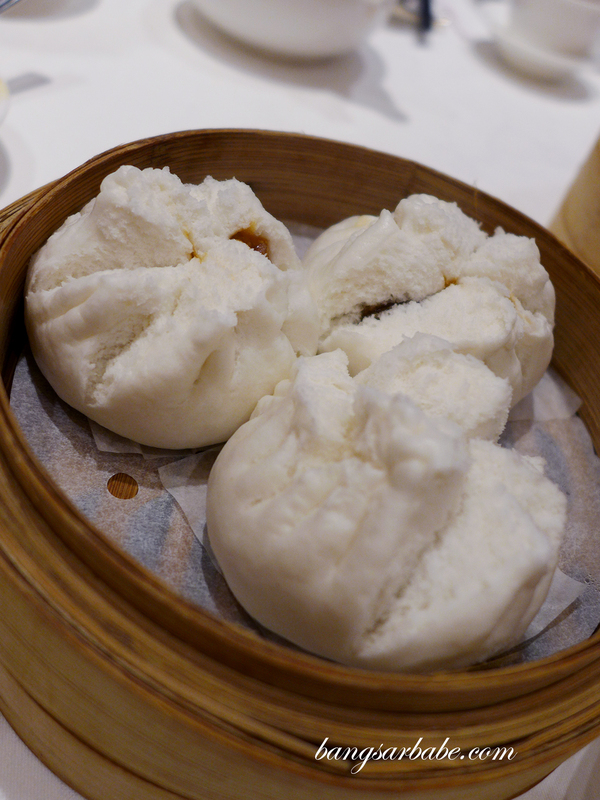 Steamed pork dumplings were a standout – tender yet firm to bite, and topped with crab roe for flavour and sweetness. 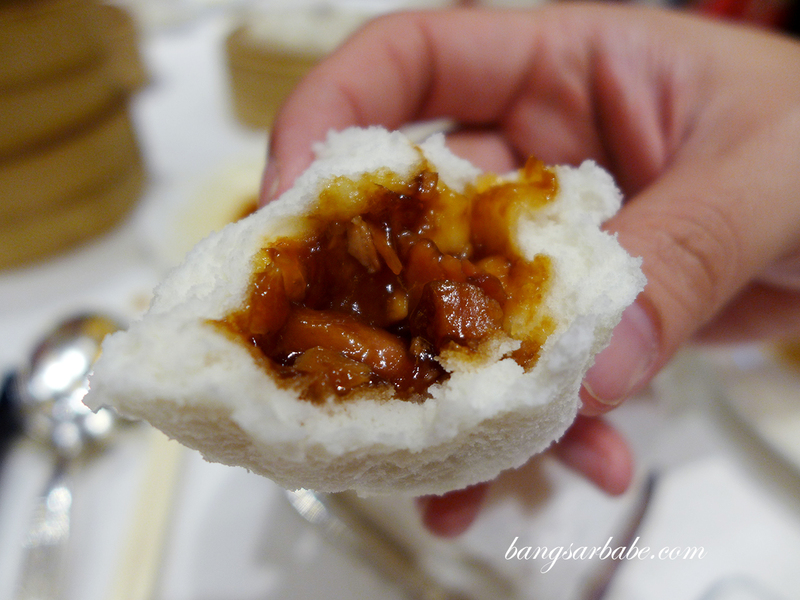 The steamed cha siu buns were particularly noteworthy as the buns were fluffy and light, with a lovely barbeque flavoured centre. 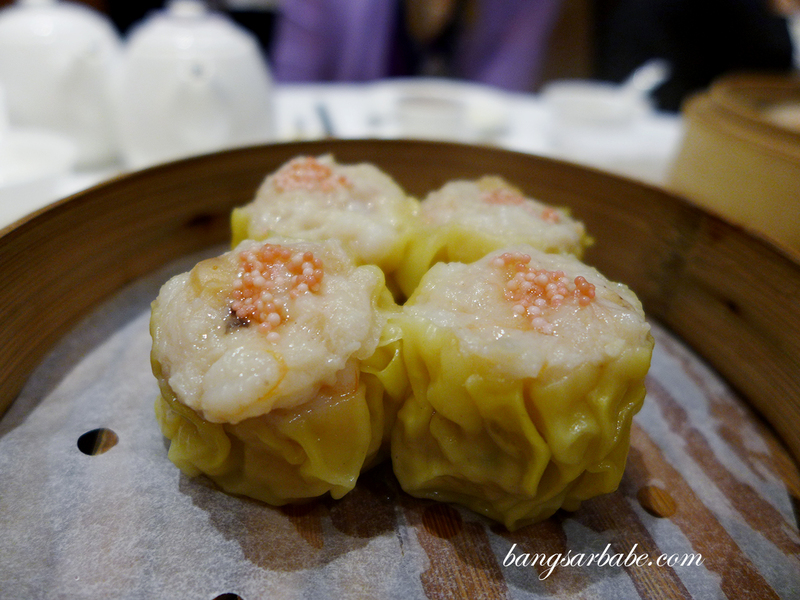 The steamed prawn dumplings with chives were also packed with flavour. 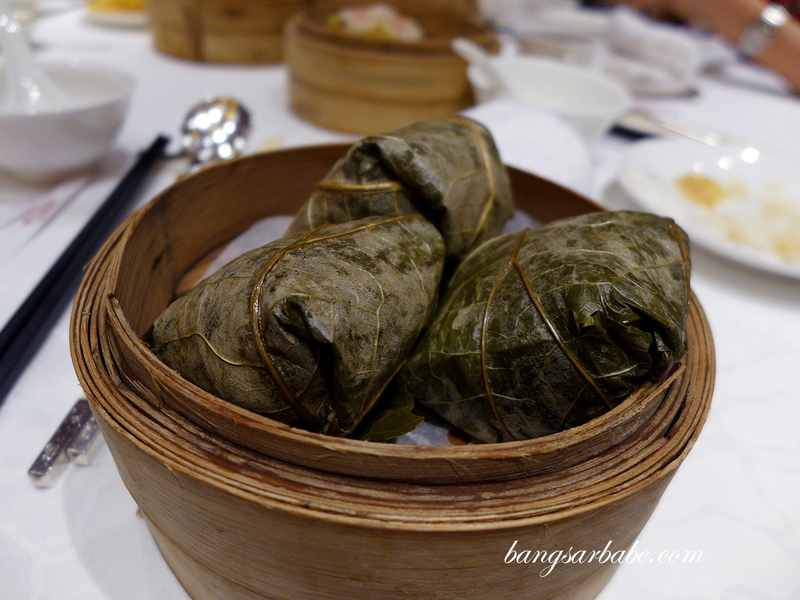 Don’t expect the customary steel carts pushed by middle aged women crooning, ”Har gau! Siu mai! 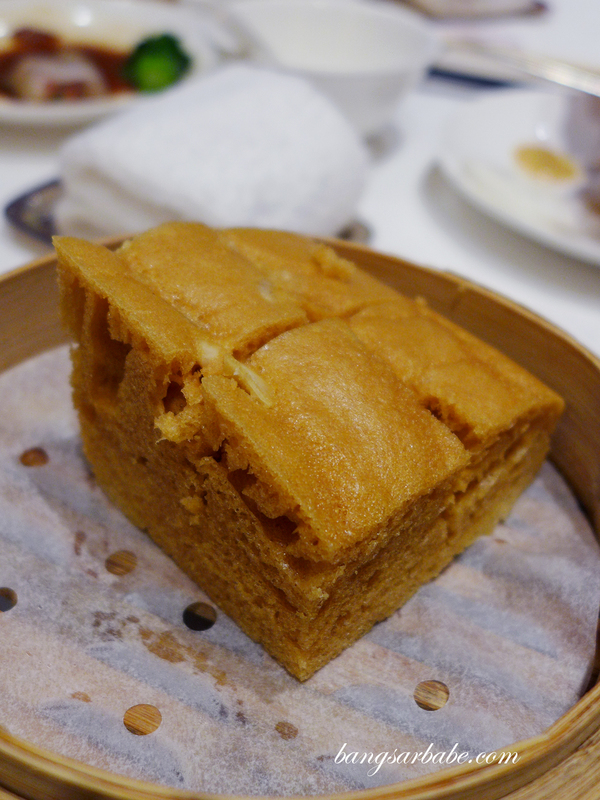 Char siu bau!”. 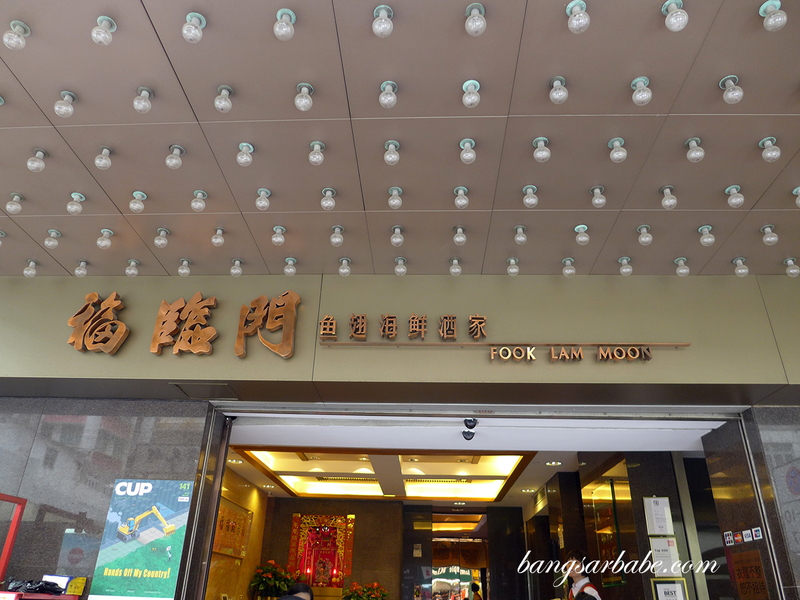 The atmosphere at Fook Lam Moon is a lot less chaotic than Tim Ho Wan and more refined if you ask me. 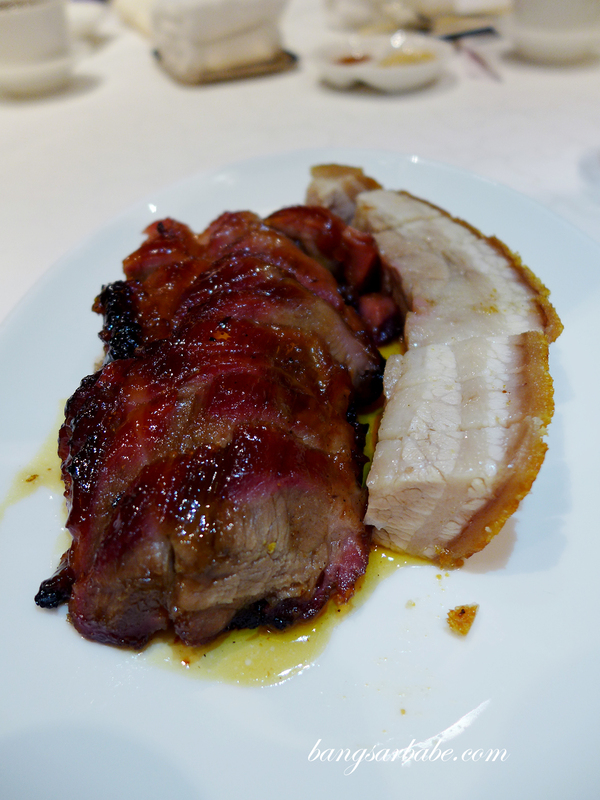 My parents enjoyed the platter of barbequed pork (cha siu) and roasted pork (siu yoke) – both relatively lean in cut with just a rim of fat for flavour. While I would have preferred a fattier cut, this was really quite delicious. 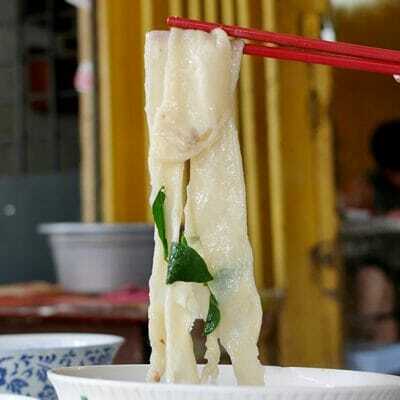 Mum tried the fish congee and said it was light in flavour and sweet from the fish slices. She’s a huge fan of “ching” flavours so this was right up her alley. 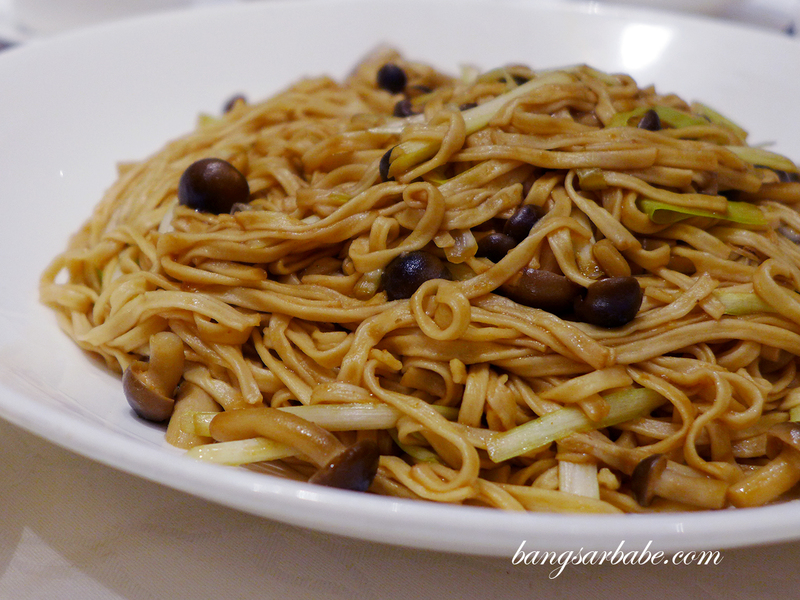 I skipped that and went for the braised ee foo noodles with mushrooms. This was good stuff – al dente, adequately saucy and full of umami. 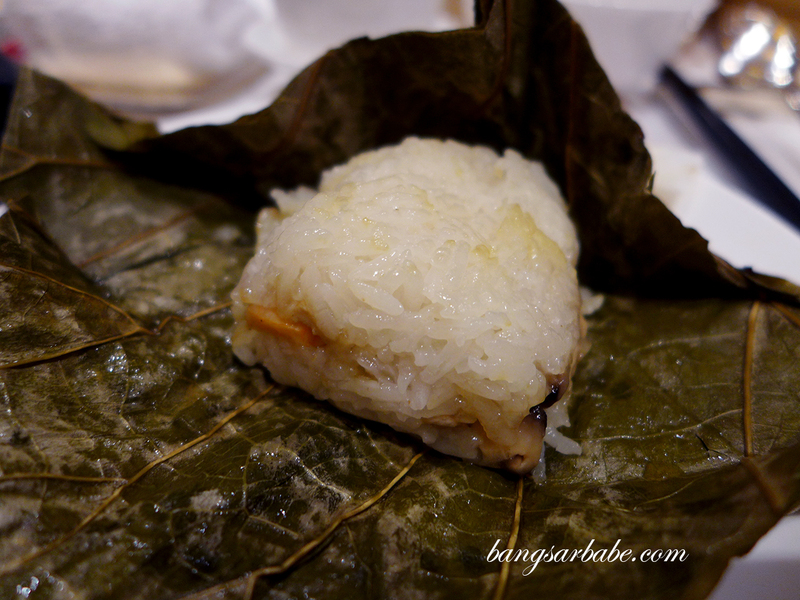 We also enjoyed the lotus leaf wrapped rice, filled with minced chicken, lap cheong and dried scallop. 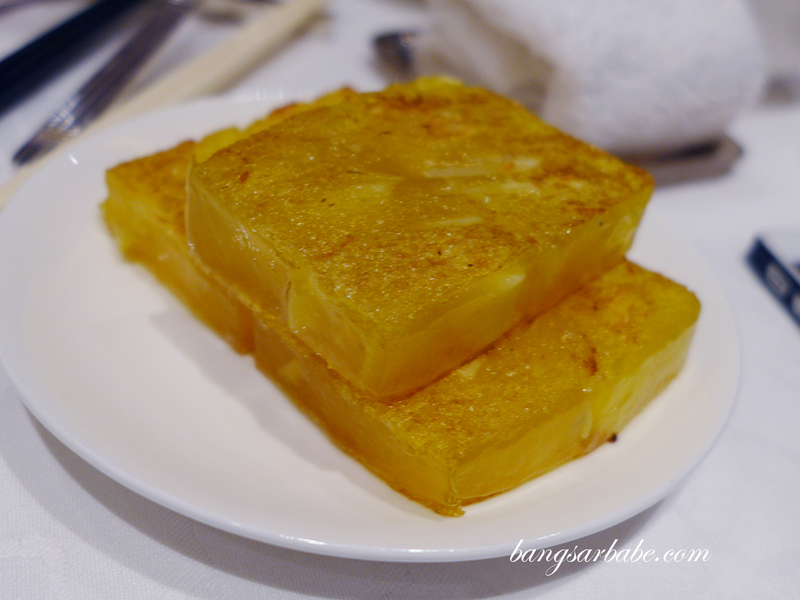 The pan fried water chestnut cake was not overly sweet with crunchy bits of chopped chestnuts for texture. Service was quick and definitely more pleasant than the average HK restaurant. 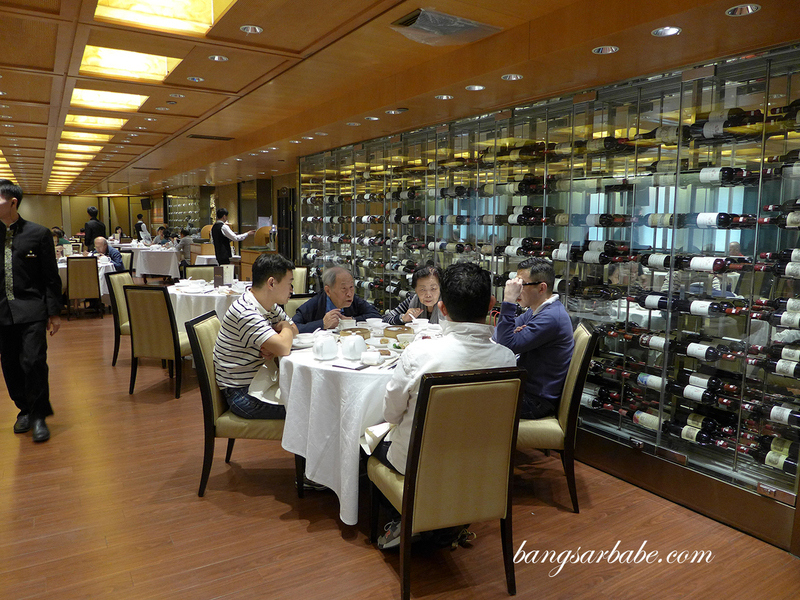 The bill was also fairly reasonable for a two Michelin star establishment – I paid about HKD1,500 for the above for 5 pax. 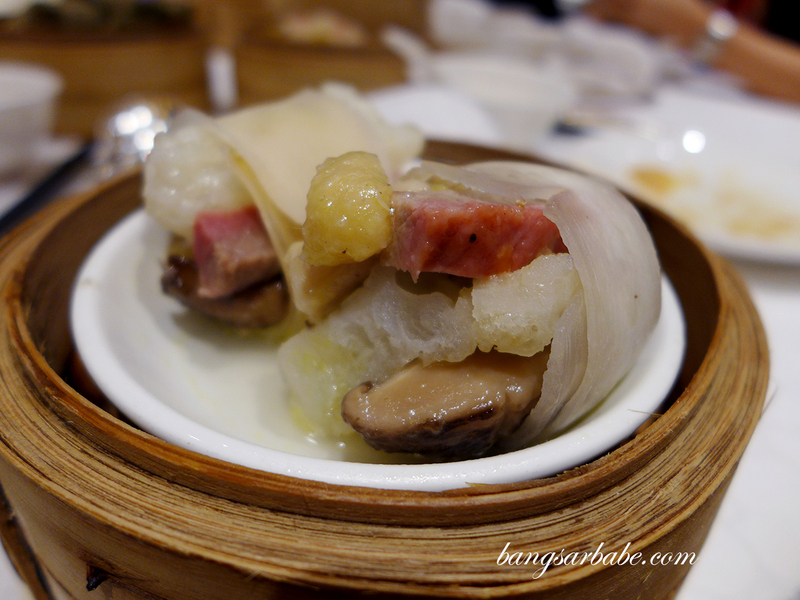 Verdict: The dim sum at Fook Lam Moon is more refined and definitely one of the best I’ve eaten. what did you pay for it all?